It's been one heck of a month for acclaimed actor Ian McShane. First, the 73-year-old star talked about his upcoming stint on "Game of Thrones" with BBC Breakfast and didn't hold back. When asked to give a little teaser about his role on the incredibly secretive show, he said, "My character really is like an ex-warrior who’s become a peacenik, so I have this group, like peaceful, sort of like a peaceful cult tribe ... I bring back a much-loved character everybody thinks is dead. We'll leave it at that." But he didn't leave it at that. After getting some flack from "Thrones" fans, who think it's obvious who this "much-loved" character is, McShane did an interview with the U.K.'s Telegraph and spilled more. "You say the slightest thing and the Internet goes ape. I was accused of giving the plot away, but I just think get a f---ing life. It’s only t--- and dragons," he said. Are you ready for what he said next? HBO had no comment about McShane's various reveals. BACKGROUND SPOILERS AHEAD -- Yes, there's more! 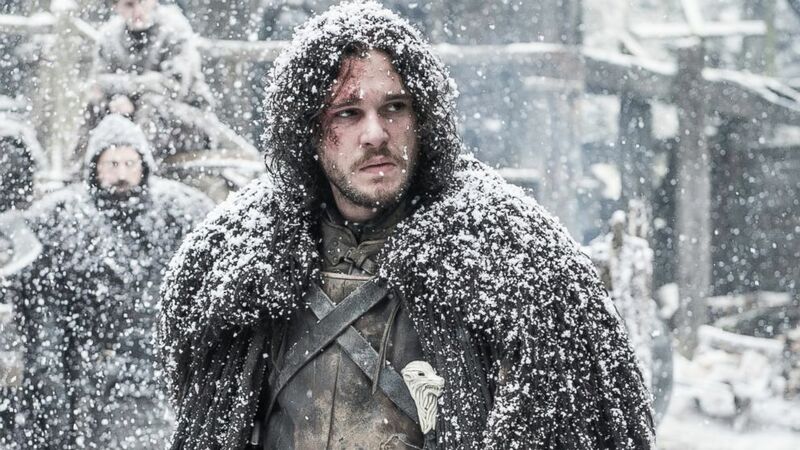 (Helen Sloan/Courtesy of HBO) Kit Harington is pictured in a still from "Game of Thrones." McShane may or may not be referring to Jon Snow, who was stabbed to death by his own men at the end of season 5. Kit Harington, who plays the "much-loved" character, has said he's dead and off the show, with the exception of some postmortem scenes. But he's also not cut his hair since his character's supposed end and has been seen in Belfast, the city in Northern Ireland where much of the series is filmed. However, in a season 6 trailer released last week, Snow is shown lying bleeding on the ground. "He's gone," remarks someone in voice-over. So what's going on? All will be revealed when "Thrones" returns April 24 on HBO.